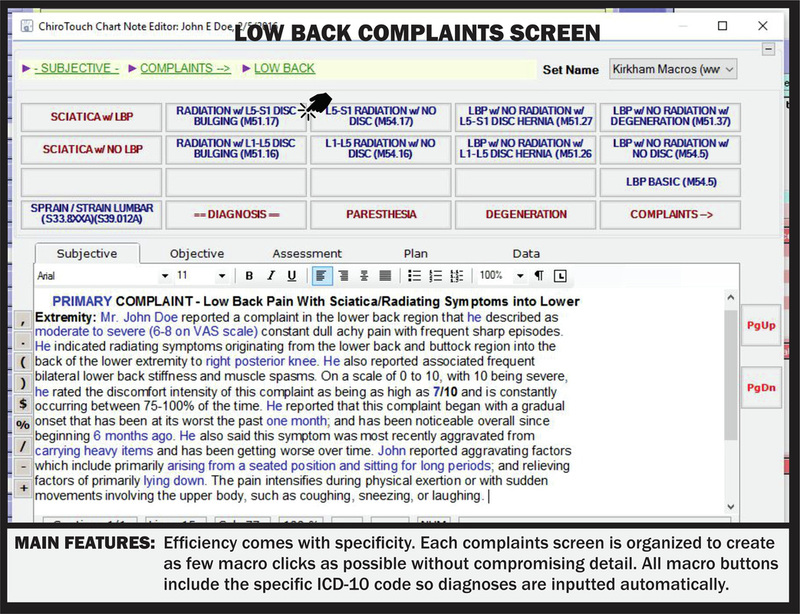 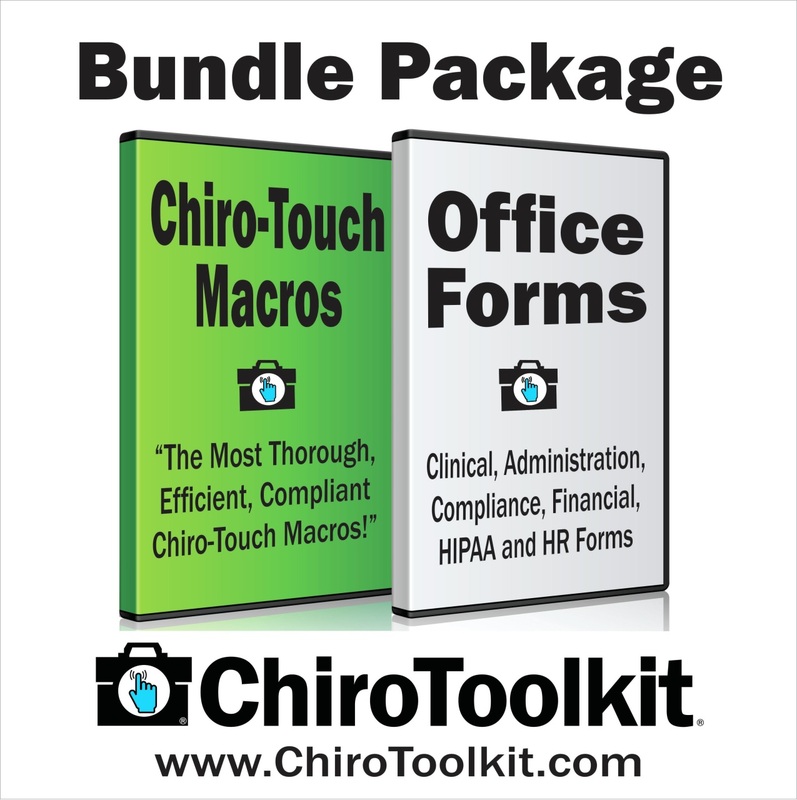 Below are just a few sample screen shots to give you a glimpse of just how well organized and systematic these ChiroTouch Macros are. 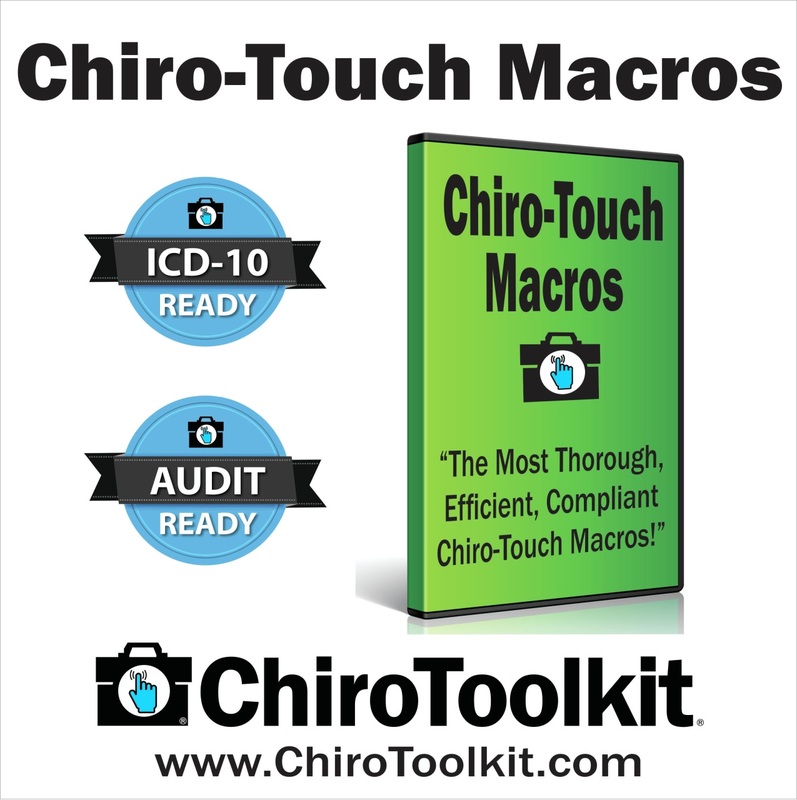 Your learning curve will be short and you'll be blown away with how systematic, complete, compliant, thorough and efficient these macros are. 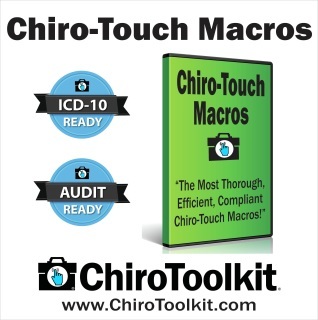 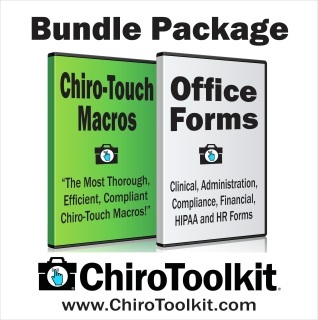 Read what Dr. Mark Sanna has to say about the ChiroToolkit's ChiroTouch Macros!